On this page we’ll learn to read Russian signs. 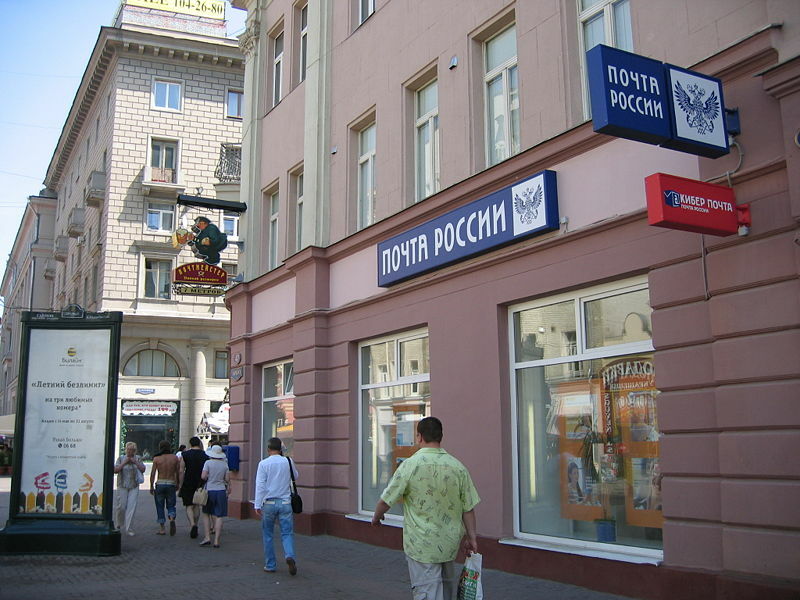 We’ll start with the Russian language…literally. – стейки: s-t-e-i-k-i(s) or in English, steaks. 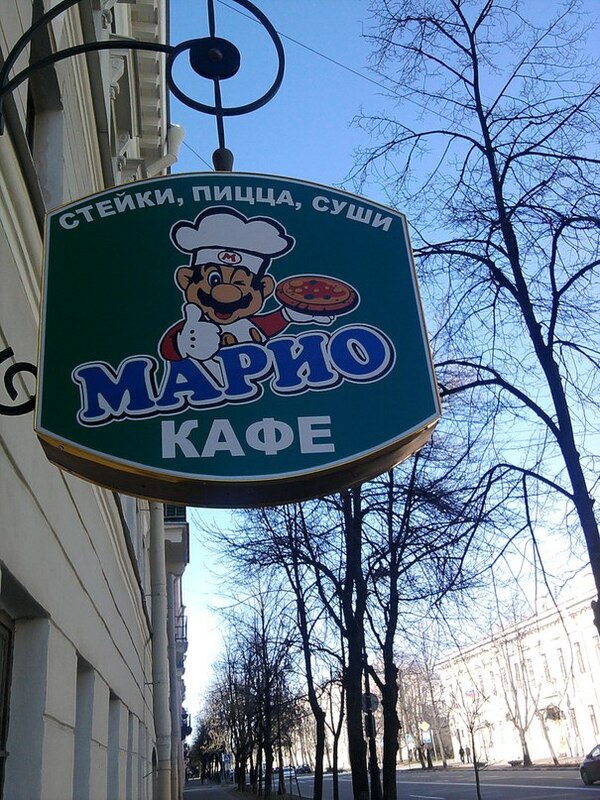 – Пицца: p-i-ts-ts-a or in English, pizza. 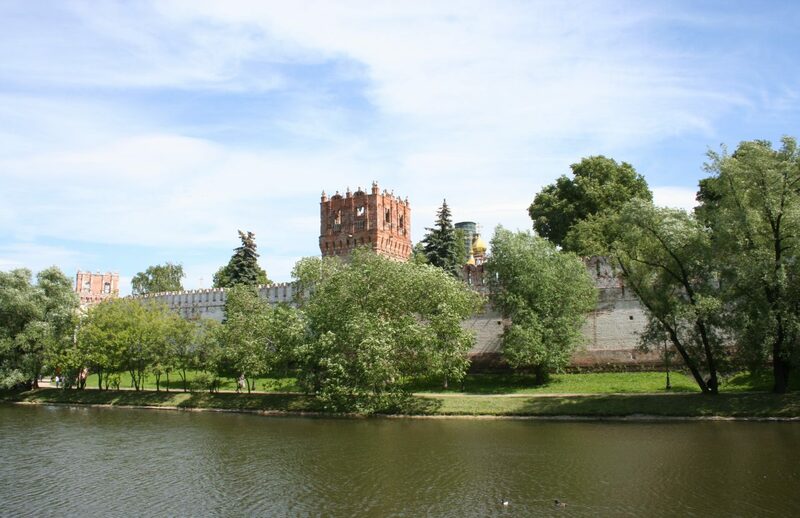 Many large cities in Russia have underground subway systems called the метро or M-e-t-r-o. This is the logo of the Moscow Metro and anytime you see this on a sign or building, you’ll know that the entrance to the Metro is at that location. There are many signs inside the Metro system. 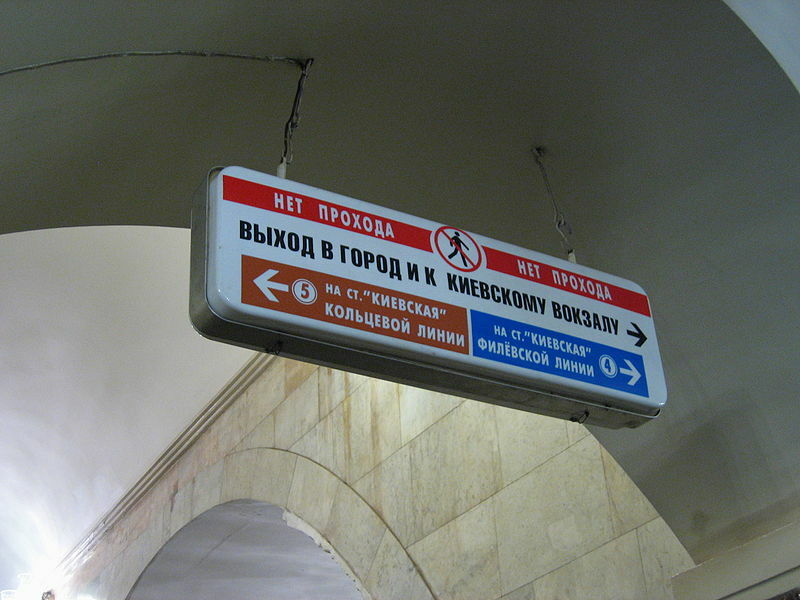 This one is inside the Kievskaya station and the middle line with black letters tells you that the Kievskaya Russian railway station can be accessed by exiting to the right. The bottom sections of the sign point to the brown #5 line to the LEFT platform and the blue #4 platform is the the RIGHT. Not feeling well? Perhaps a trip to the pharmacy/drugstore is in order. 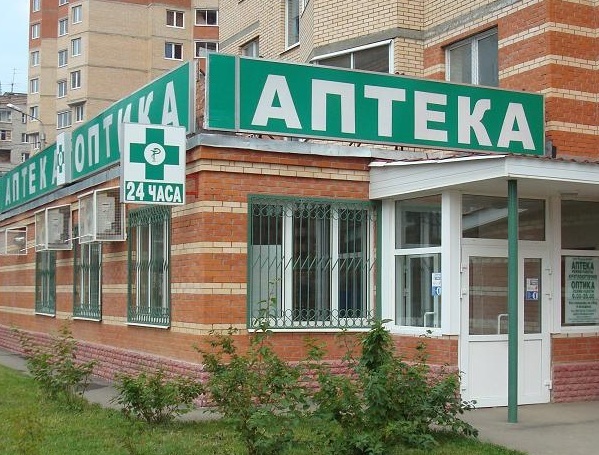 аптека = ‘aph tye ka” = pharmacy/drugstore. Now let’s identify the word for MILK. 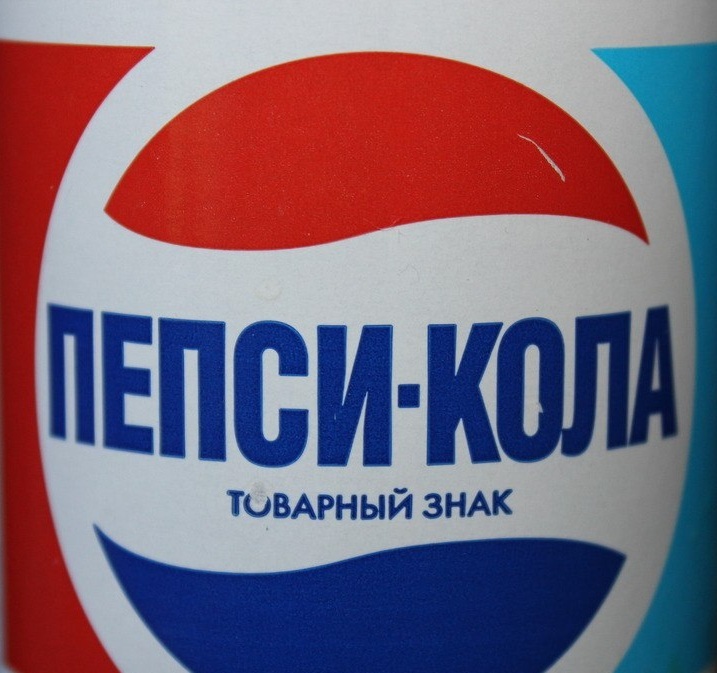 One of the very first American consumer products sold inside the Soviet Union was Pepsi. 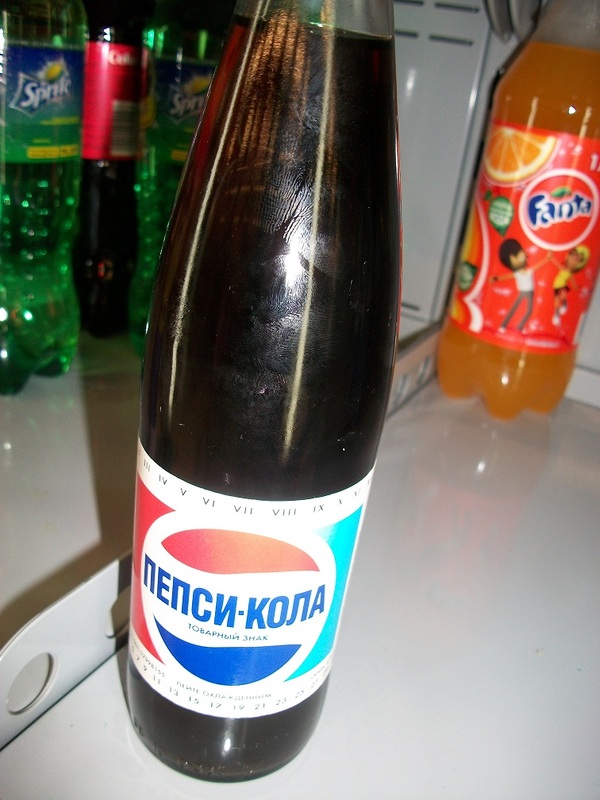 пепси кола = Pepsi Cola. Photo #2 reveals that today there are other popular American brands of soda in Russia. One of the most popular brands is Fanta, because of the variety of fruit flavours. 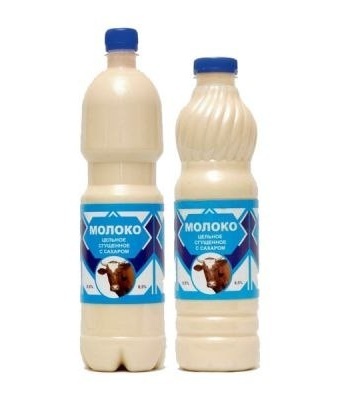 All of these are bottled inside Russia. Did you know that there is a day to celebrate chocolate in Russia? It is each 11 July and called день шоколада, the Day of Chocolate. 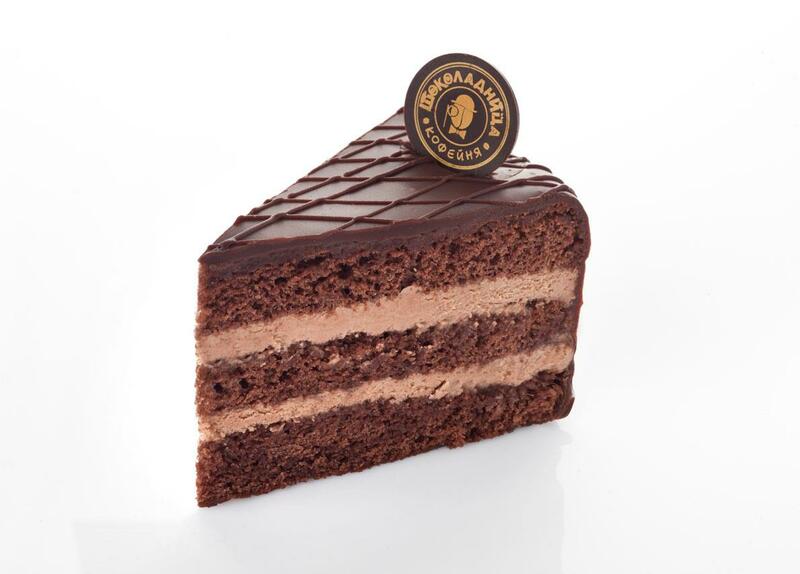 Last time we checked a piece of chocolate cake as shown was around 99 rubles, about $3 dollars. It is that time of the year again, бабье лето (Indian summer), and that means we’re frequently reaching for a зонт (umbrella), spoken as “zont” in Russian. Autumn is осень, pronounced “O-sin” in Russian and with it comes the need for protection from rain and light snows on latter autumn days. 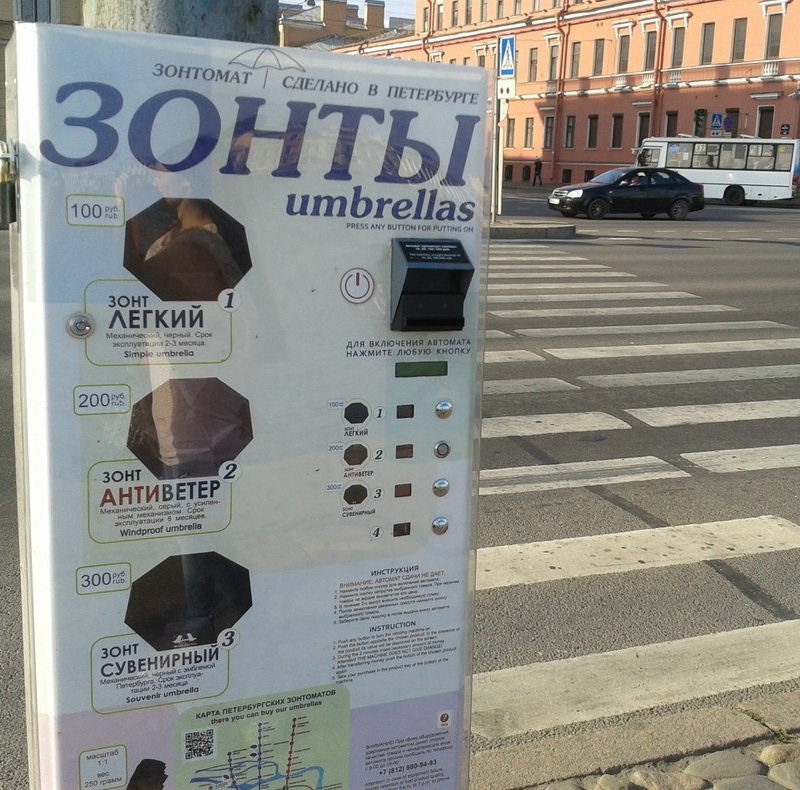 лёгкий (“lyo-kee”) is a lightweight umbrella for just 100 rubles ($3). антиветер (“ahn-ti ve-ter”) is a more sturdy windbreaker umbrella for 200 rubles ($6). сувенирный (“su-ve-nyer-nee”) is an umbrella with a city logo and thus sold as a souvenir. Priced at 300 rubles ($9). Now you are ready for autumn. VEry cool! I am learning some Russian and its funnier this way! thx/ spasiva! So glad that you are learning! Thank you.